The beauty design of Japanese style puddding is made by HANAZONO MANJU that is located at SHINJUKU, TOKYO. HANAZONO MANJU has over 170 years history for Japanese style confection making. 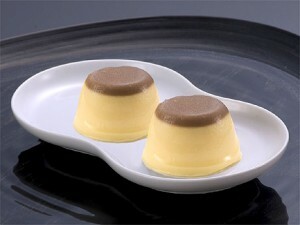 The pudding is made of bean paste instead of caramel.